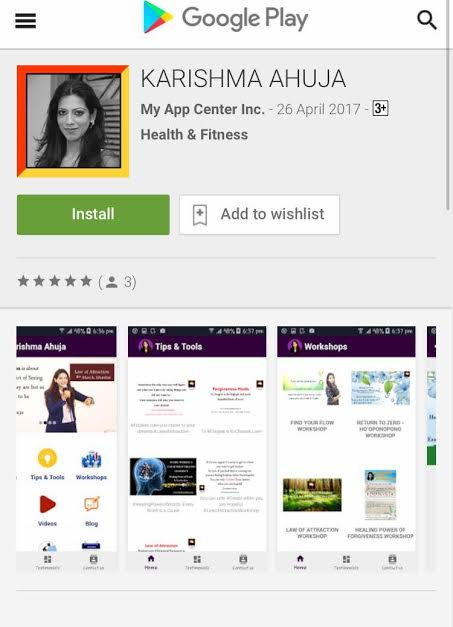 Chalk out a clear roadmap to go after what you want, achieve results at home and career, have good health and vitality, live with Yourself and Others with ease & joy- Download this one-of-a-kind app now and Join Karishma Ahuja for a life-changing journey, to start living the life of your dreams... today! Founder MasterMind Training India, Trainer, Author, Coach & Speaker, Karishma Ahuja is very Passionate about teaching People about Universal Laws of Attraction & Vibration and Ho’oponopono - a Hawaiin art and Practice to Let go of the past and resolve problems using one's mind and energy instead of placing blame on other people and circumstances. - Daily Tips and Tools for Personal and Professional Transformation: These includes Quotes on Success, Abundance, Ho'oponopono and the Law of Attraction that will truly motivate you to take action and achieve your dreams.